In 1793, the marriage between the farmer’s son and brewery laborer Joseph Pschorr and the brewer’s daughter Therese Hacker laid the foundation for a brewing dynasty. Joseph Pschorr was always open to innovation and was a progressive thinker in the brewing industry. He developed a new process for kiln drying malt which in turn improved the flavor of the beer considerably. He also developed what was then the largest underground storage facility in Germany which offered a total of 35,000 hectoliters of beer to be stored. Twelve meters below the ground, the beer was able to be stored at optimum temperature even during the summer using ice. In 1820, Joseph Pschorr acquired the brewery “Brauerei zum Bauernhansl” and other buildings in Neuhauserstraβe which became the Pschorr Brewery. This brewery was the second most popular brewery in Munich behind the Hacker brewery. Joseph Pschorr, the king of Munich’s brewers, died on June 3, 1840. His marble bust stands in the Hall of Fame behind the Bavaria statue at Theresienwise. His estate was divided into two equal shares that were inherited by the two oldest of his 20 children. 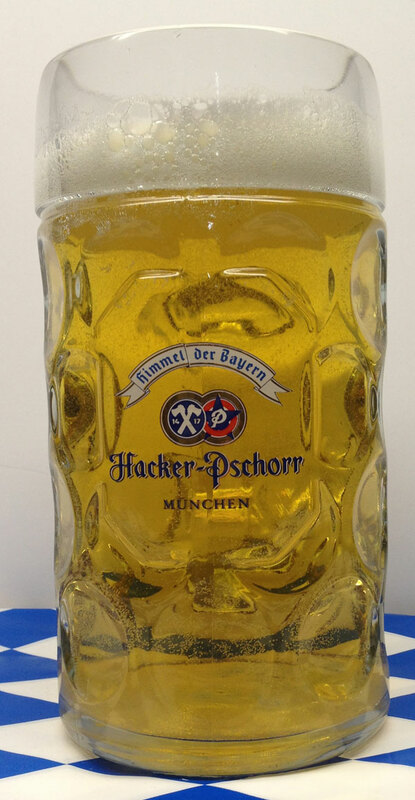 Georg Pschorr became owner of the Pschorr brewery and Matthias Pschorr owner of the Hacker brewery. Both breweries remained separate until 1972 when they merged. There is evidence of the Pschorrs at Oktoberfest dates back as early as 1830. Georg Pschorr was the first to make a splendidly harnessed team of horses’ part of the Oktoberfest parade. In 1901, the Pschorr brewery surprised Oktoberfest visitors with the first electric lights in their tents. Today guests can enjoy Hacker-Pschorr beer in the Hacker tent, the Bräurosl tent and the smaller tents Poschner and Wildmoser.